Add a touch of bold, spicy flavor to your favorite sandwiches and salads with Organic Mustard Oriental Wasabi Microgreens. 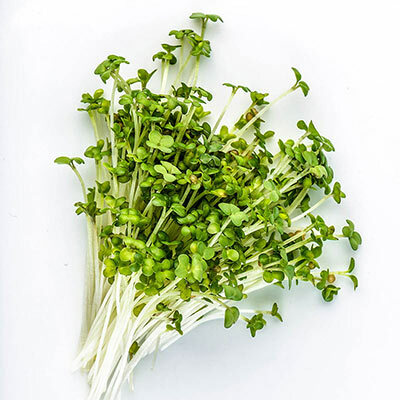 Eaten as young seedlings, microgreens are a great source of protein and vitamins A, B6 and C. Harvest microgreens early, just before their first true leaves have emerged. Easy to grow indoors using our Microgreen Growing Kit, this superfood is ideal for growing during the winter when the outdoor garden isn't producing. 3-6 DAYS.